What does a Lawn Doctor Franchise Cost? Start a Lawn Doctor Franchise. Lawn Doctor offers custom lawn care solutions to residential and business consumers, including lawn services, pest control, and tree and shrub care. With over 45 years of experience in the industry, Lawn Doctor stands apart by being the leader in customer satisfaction, with an average customer retention rate of over 80%. Lawn and landscape services are a $67 billion a year industry, and each year, more and more homeowners switch away from do-it-yourself lawn care to effective professional solutions. As we seek to expand our business footprint, we are looking for future Lawn Doctor franchise owners who share our commitment to excellence and our drive towards market leadership. Open Lawn Doctor in any of these available states: AL, AK, AR, CO, CT, DE, FL, GA, HI, ID, IL, IN, IA, KS, KY, LA, ME, MD, MA, MI, MN, MS, MO, MT, NE, NV, NH, NJ, NM, NY, NC, ND, OH, OK, OR, PA, RI, SC, SD, TN, TX, UT, VT, VA, WA, WV, WI, WY, DC. Thumbs up to an incredible franchise opportunity. Average franchisee revenue is over $534,000. Initial Investment includes $40,000 marketing and working capital. Thumbs up to a national brand presence. Known as the "company with the green thumb," people trust Lawn Doctor and value our personalized lawn and outdoor pest control services. Not surprising, we lead the category in customer satisfaction with an 80% customer retention rate. Thumbs up to a growth industry. 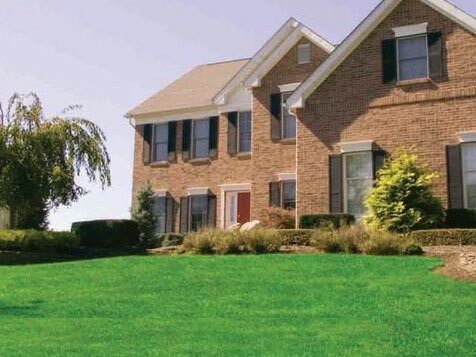 Seventy-five percent of homeowners desire a nice looking lawn, and like to enjoy it. The Green Industry is over $74 billion. Thumbs up to an opportunity that builds on your skills. If you are a leader with basic marketing and sales skills, Lawn Doctor will enable you to build an enterprise to help you achieve your goals. We offer in-house financing, special discount programs and unique 401K rollover partnerships to qualifying candidates. We'll even help get you started by providing the financing for half of the initial investment. Thumbs up to great training and support. For nearly 50 years, Lawn Doctor has perfected the science of lawn care franchising. We give our franchisees all the tools they need to succeed in the business. Marketing & Sales – Our "Ramp Up" Marketing Program will start delivering you leads from day one. A staff of talented industry professionals dedicated to supporting the system in all areas of the business, so you're never out there alone. 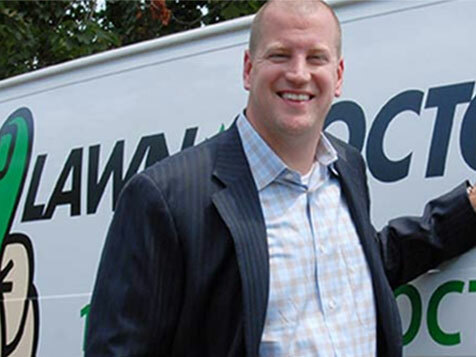 "When first opening my franchise Lawn Doctor offered an overwhelming amount of support to get me started on the right foot. It was incredibly beneficial to work with the corporate team and a network of well-established franchise owners in the market with practical, firsthand knowledge." "And I don't think anybody, all of our friends ever could've conceived that we do as well as we do being a Lawn Doctor, and it's been rewarding." "It's fulfilling all the goals we started out to do and we love the business." Fill out the short form now and get started on owning your own business. Lawn Doctor is currently accepting inquiries from the following states: Wyoming, West Virginia, Wisconsin, Washington, Vermont, Utah, Texas, Tennessee, South Dakota, South Carolina, Rhode Island, Pennsylvania, Oregon, Oklahoma, Ohio, Nevada, New Hampshire, Nebraska, North Dakota, North Carolina, Montana, Mississippi, Missouri, Minnesota, Michigan, Maine, Massachusetts, Louisiana, Kentucky, Kansas, Indiana, Illinois, Idaho, Iowa, Georgia, Florida, Washington, D.C., Connecticut, Arkansas, Alabama.